Here we go again! We’re back in the summer months and that means warmer weather and colder tea. Roughly 80 percent of Americans take their tea iced and sweetened. Surprisingly, the British still take their tea hot! This is possibly due to tradition and the weather difference. American summer is much more hot and humid than British summers can be. One of the most popular types of iced tea in the US is sweet tea, which is more predominant in the Southern states but has become more popular in Western and Northern states like California and Oregon. And I myself being raised in an American family, they all take their tea iced and sweet. Other people take their iced tea flavored with a bit of lemon, peach, or raspberries for a nice hint of fruit flavor. In the coming weeks, I will show you how to take your iced tea to the next level. This means more ways than just having your tea iced the plain old way! 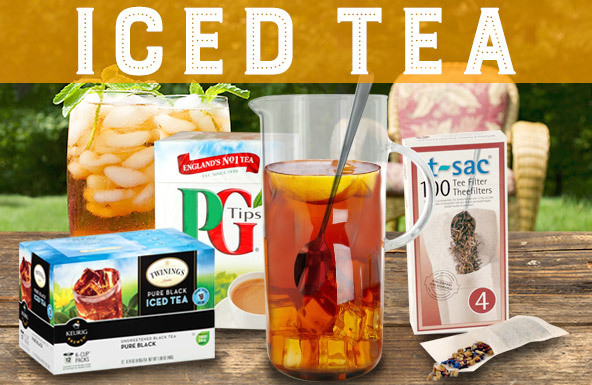 You’ll learn how to brew the tea differently and even enjoy your iced tea in a different form. A whole new form? That’s right! You can cool off in more ways than one with tea this summer. This June is going to be the best for iced tea! Stay tuned! And don’t forget National Iced Tea Day on June 10th! Be sure to celebrate with a refreshing glass of iced tea, however you like it. Clean Up Your Tea Stash!